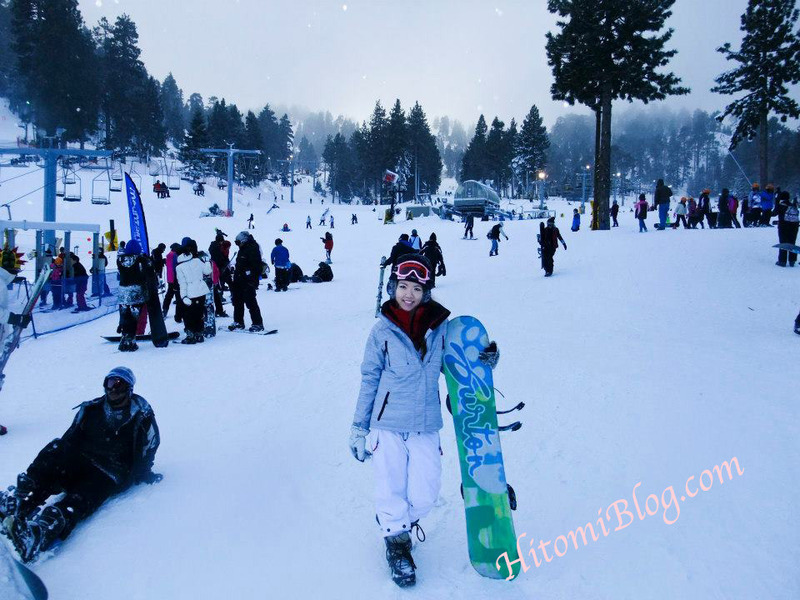 I always wanted to go snowboard/ski, but been scared of it because I heard numerous stories of people getting injured and totally broke their bone playing. 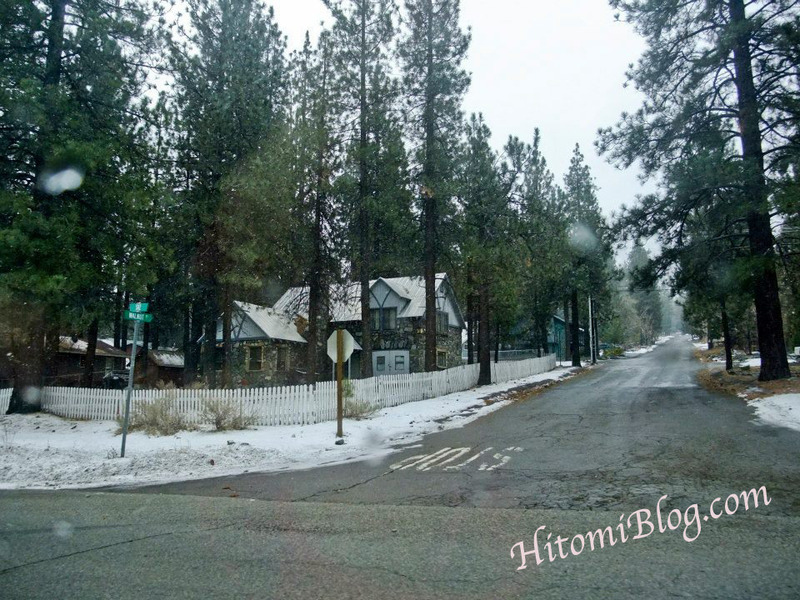 I am usually a pretty careful person for anything I do, so those stories did hunt me! 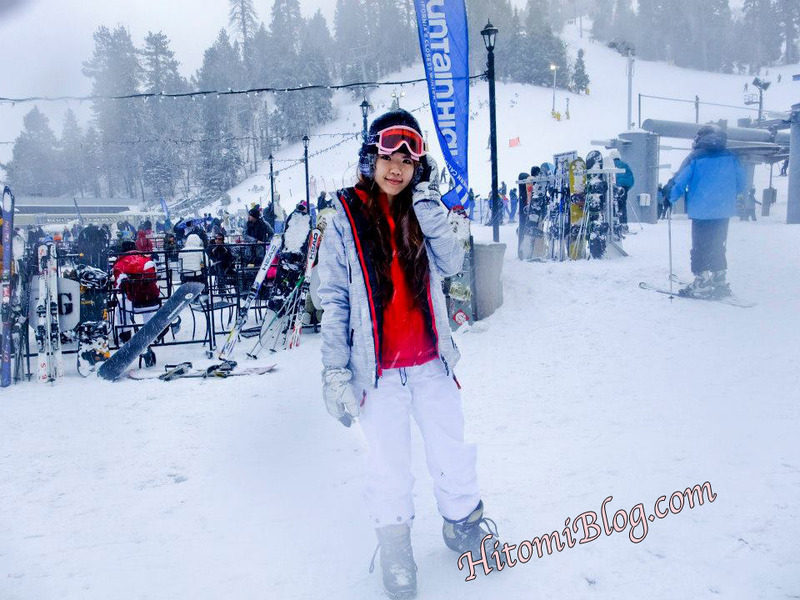 However, I always complain that I never got to play with snow, build a snowman, snowboard or ski... I think for the past couple of years I been trying to go to the mountains with my friends but it just never worked out. 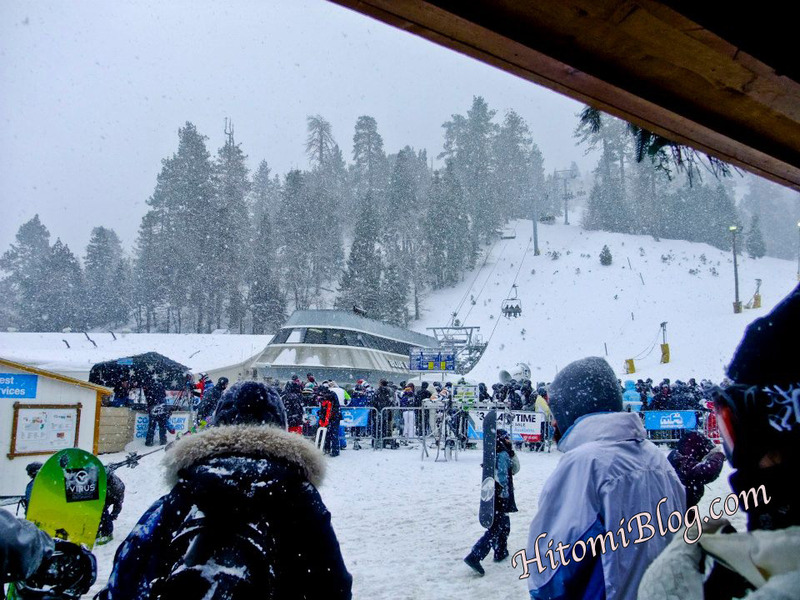 So this year (2012) I decided that I want to go snowboard even I don’t get to go with a big group of my friends... but somehow I was adamant that this is the year to experience my first snow experience! 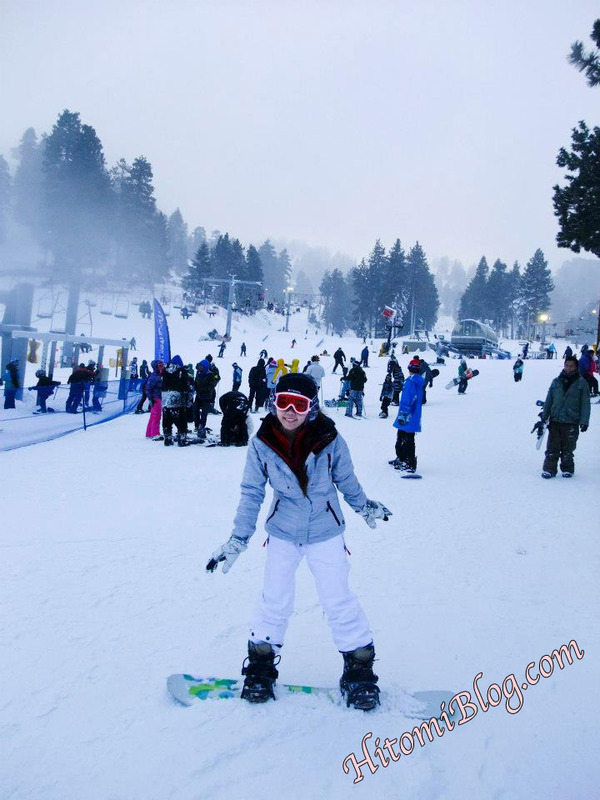 I thought I would spent most of my time learning how to snowboard anyways! 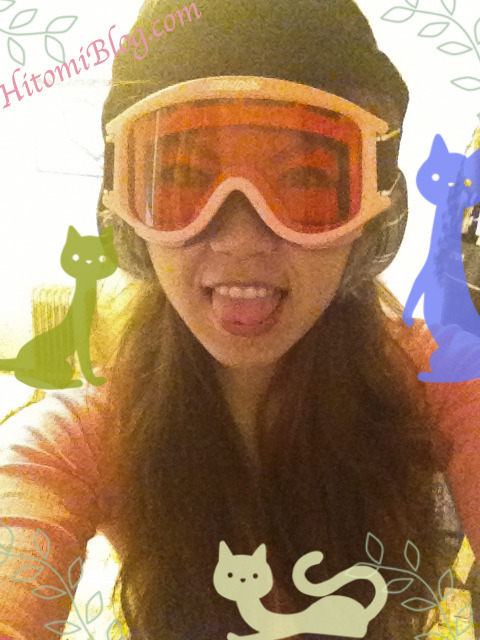 I got all my necessary clothing at big5 & then I was ready to go snowboard! On the way to the mountains now. The snow jacket I bought actually have two layers so I wore the first layer first. 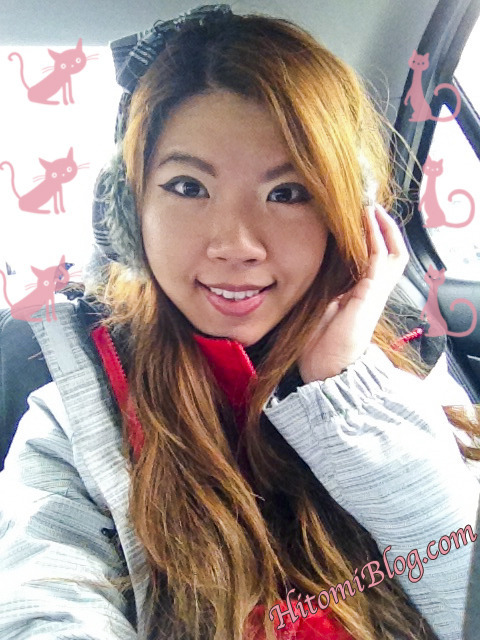 The ear muffs were actually bought like 2 years ago and I never wear it until now that I finally have the occasion~ haha the trip was suppose to be 1.5 hr, or so I was told, but it really felt like 3 hours plus... and really you can’t even see any snow on the way there. This is when we are almost there... then we finally see snow. & it was still less snow than I expected. I guess I was imaging the scenery to be completely white, which would be unrealistic for cars to drive through the snow. 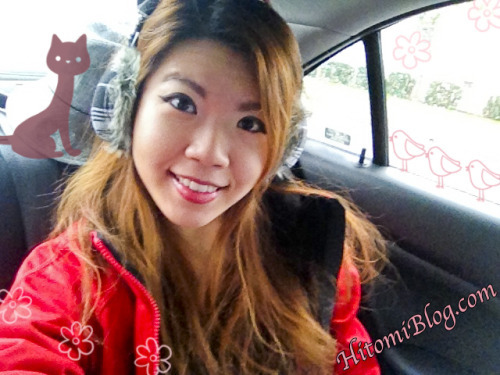 I put on my outer jacket now that we are closer to destination! the temperature outside is so freezing cold plus it was snowing so I didn’t take too many photos overall on this trip. Finally we’re here!!! People snowboard and ski from afar looks so effortless... But I know for sure I can’t do that right away! 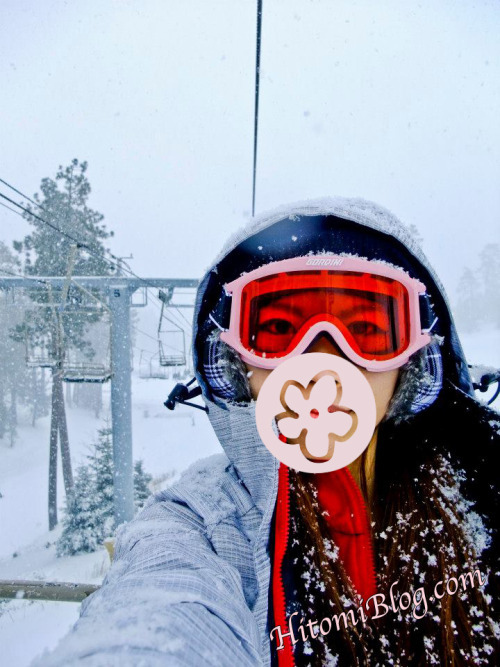 Some say snowing is better for snowboard, other said opposite. What do you think? 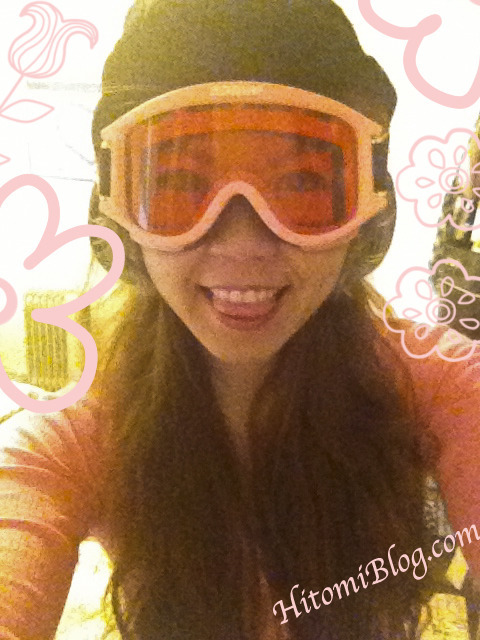 Constant falling when I snowboard.. It’s so funny whenever people ask me “ how many times you fall”? I assume those are the people who never snowboard/ski or they assume that I can actually snowboard.. lol.. but first timers for sure YOU ARE GOING TO FALL! COUNTLESS TIMES ! so of course my answer was “ countless” I have no idea! 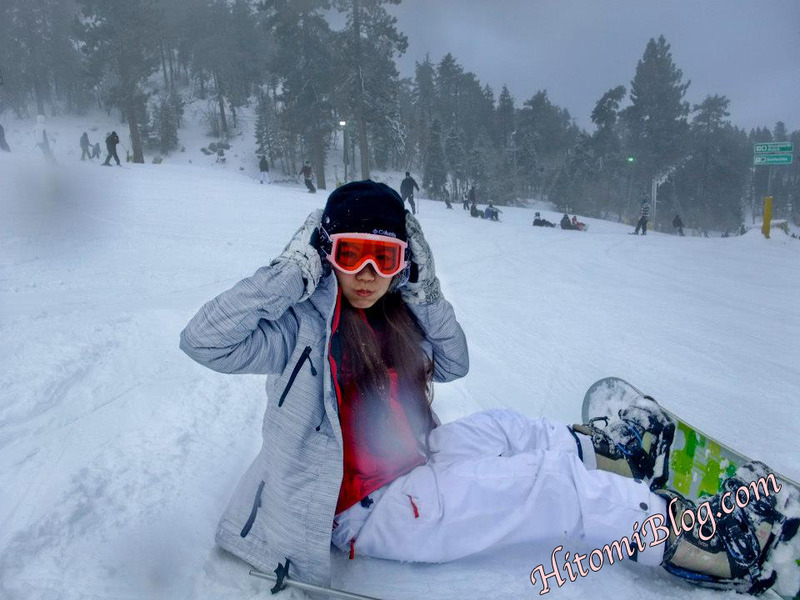 Pretending that I can snowboard.. actually this picture isn’t fooling anybody!! You can see how flat is the ground! OK, Ending with a nice pix of myself. I love that you can kind of see the stars in the sky! beautiful isn’t it?! Overall it was a good experience, although I did experience pain all over my body for the next three days. haha. Oh, at the end of the day I realize i still have not build a snowman! Darn! next time! 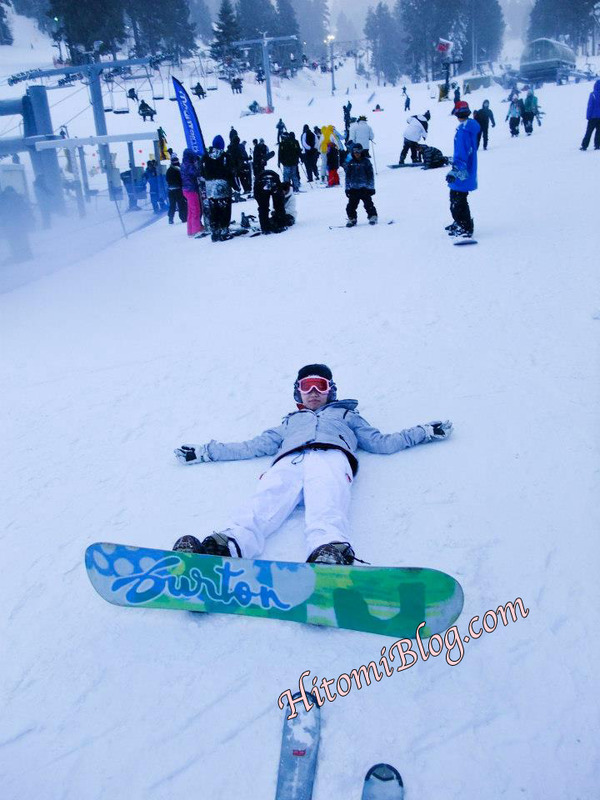 What was your first snowboard/ski experience?